Troy 9″ Alpha Rail will work perfectly for your mid-length AR setup. The genesis of modular free float rails has arrived. Backed by the Troy Lifetime Guarantee. 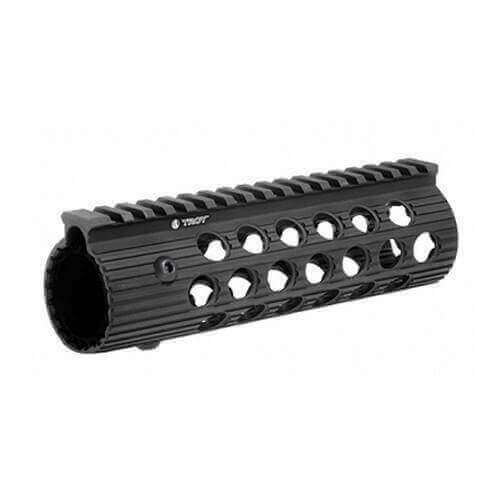 Building off of the TRX Extreme design that revolutionized rail based handguards; the Alpha Rail utilizes a new low-profile locking mechanism, which offers unparalleled strength and stability. With unlimited mounting options and greater heat dispersion, the Alpha Rail once again sets a new industry standard in modular free float rail design.